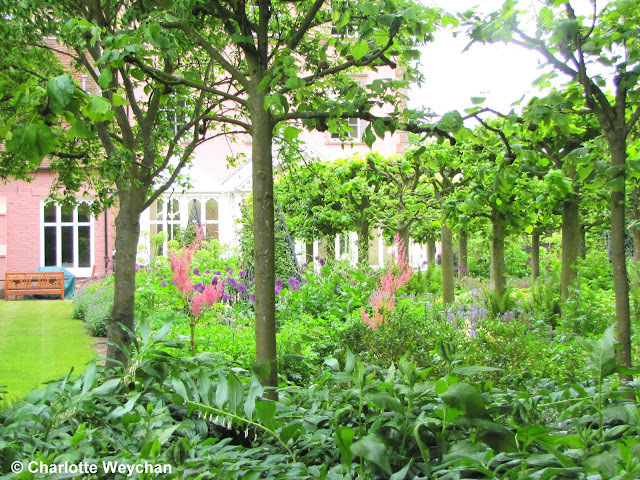 Imagine finding a magical garden that leaves you surprised, astounded and really happy that you found it. That's what I felt when I visited Toddington Manor in Bedfordshire - a chance find that turned out to be one of the best I've seen in two years of garden visiting. But I'm afraid that's where the good news ends; the bad news is that unless you get there in the next few weeks, you won't be able to see this lovely garden, because it's closing it's garden gate at the end of June. Within less than a mile of the M1 (and you can actually see the traffic on the highway from the garden), is a country haven of extraordinary beauty. 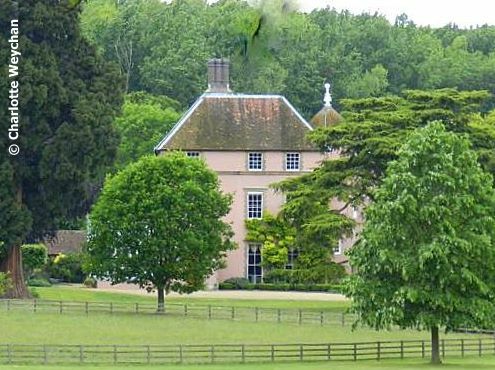 Present owners, Sir Neville and Lady Bowman-Shaw moved to the property in 1979 and completely re-planned and replanted the garden. There has been a manor house on the site since 1560, although it was rebuilt in the 18th century. Part of the charm of the garden is that you get views of the house wherever you are and would easily be forgiven for thinking that you were at a different location every time, so wide is the range of architecture. 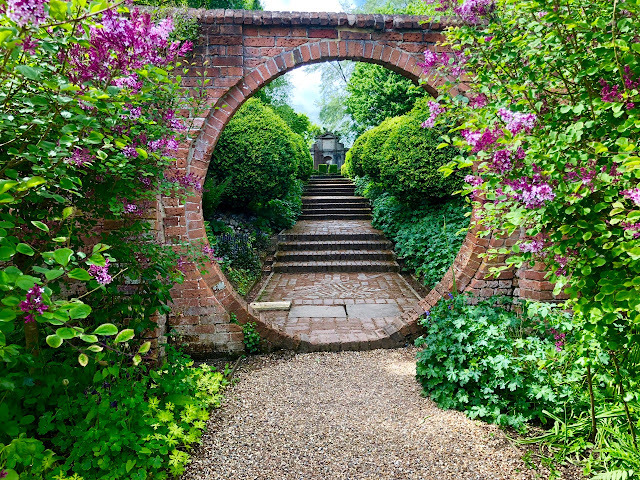 From the moment you walk in through the garden gate into the walled garden, you enter a magical world - a quintessential English garden - immaculately maintained and filled with colour. 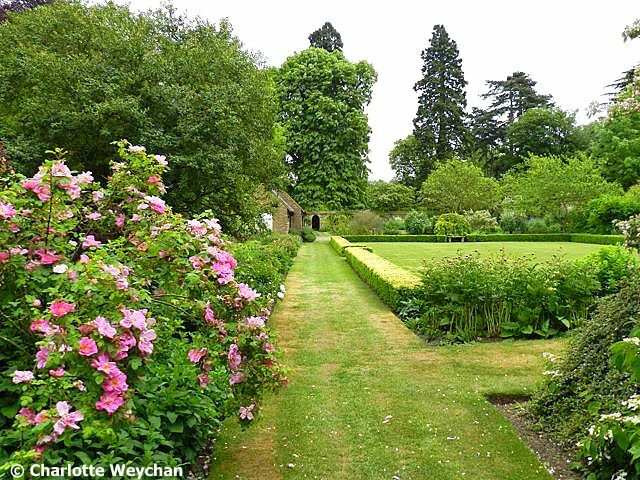 The croquet lawn (above) is enclosed by a low hedge and has dramatic borders filled with peonies, delphiniums, clematis and roses (to name just a few), backed by larger shrubs. 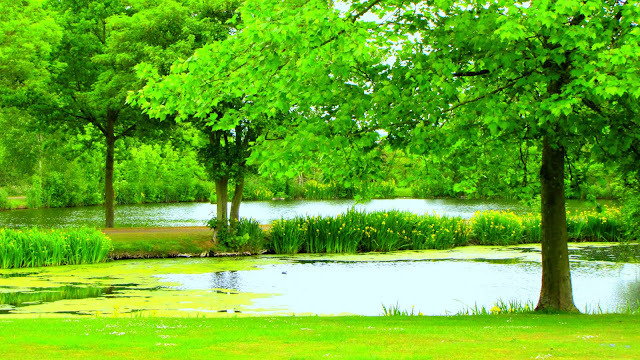 From here you enter the rose garden, with its central pond, with the stable block as a backdrop (above). When you leave the walled garden, you arrive at the pleached lime walk (above), which has old-fashioned paving and is underplanted with magnificent (and slug free) hostas, ferns, blue delphiniums, euphorbias, and alliums, all in subtle shades of blue and purple to compliment the lush green plants. 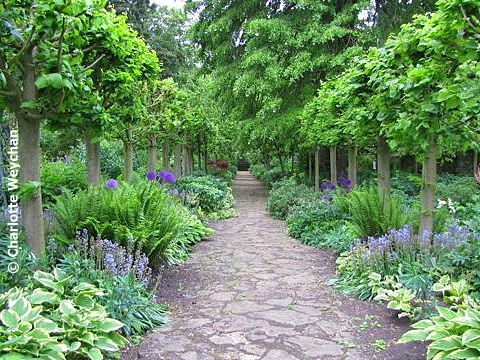 But what is most noticeable about the garden here is the way that each different area has its own theme and leads you naturally to the next part of the garden. From here you move on into the wildflower meadow, or graduate back to the front of the manor, which overlooks iris-filled ponds and lakes. The immaculately tended 10 acres also includes a herb garden, orchards and woodland to explore, in addition to the herbaceous borders, rose garden and croquet garden. But for me the most charming part of this property was that it was completely deserted when I visited and I was able to wander around alone. Sadly, my photographs don't do this property justice because the weather was bleak on the day I visited and the colours are very sombre. But don't be put off by the lack of blue sky here because this is a really stunning garden and one to catch before it closes. 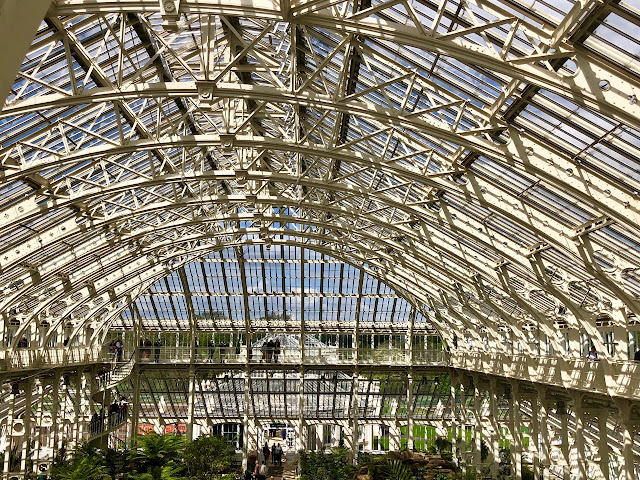 It's open Tuesdays, Wednesdays and Thursdays until the end of June, from 1.00 to 5.00, so hurry, hurry, hurry! 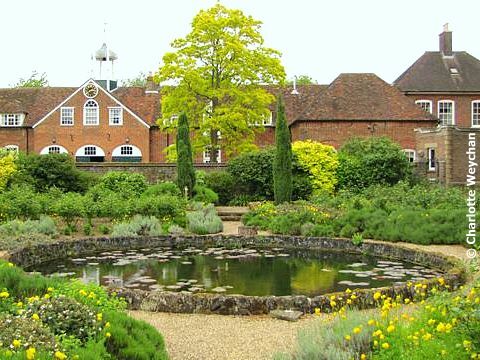 Also close to several other good gardens including Ascott and the Swiss Garden (to be reviewed this week). Thanks for this. Will try and see if we can make this in June. Certainly looks worth a visit. This garden looks well worth a visit. it's so green and lush. I thought there was a drought down south? The pleached lime photo is inspirational.